So overall starting with the Brazilian Batteria on Thursday and concluding today with dinner at Uncle Bill's, this has been a very enjoyable and full weekend. Today I hiked 7.5 miles along the Walker Ranch Loop in about 3 hours. It was a cool day with lots of fog and mist in the air plus just a few occasional raindrops. So the trail was not in heavy use. 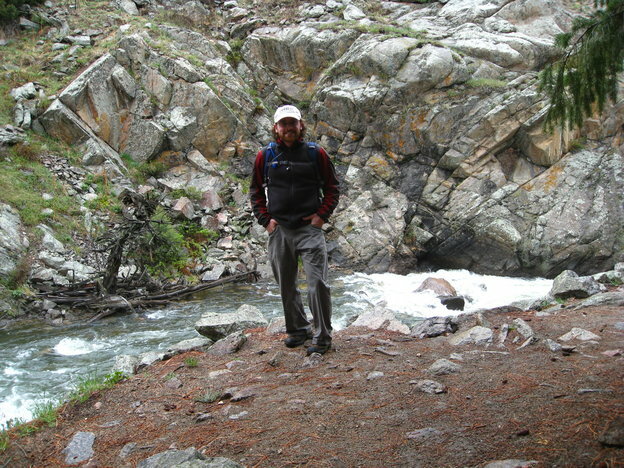 It is a very interesting hiking taking you from recently burned forest down along the rushing rapids of the South Boulder Creek, through some meadows and back up some steep single track rocky trails.